When you add staff to your account, they will be able to clock in and out with a 4-digit pin. Be sure to communicate their clock-in pins, as they will not be able to view the Staff screen without admin access. Staff will enter their pins in the pinpad screen of the Parent Kiosk. 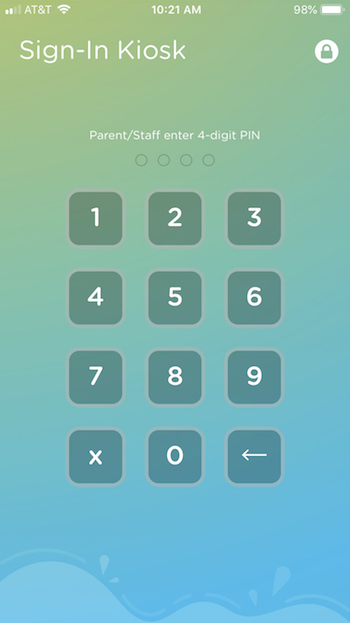 This is the same screen where parents enter their pins while using the pin-based Sign In-Out option on the app. Staff can only enter their pins on a device that has been logged into by someone with admin access on the Kinderlime account. If you would like to allow your staff to clock in from any device, please contact our customer support to turn on this option. This option is not selective; once turned on, all of your staff will be able to clock in from their own devices. After entering their pin, staff will see the clock-in screen, which by default selects their assigned room. 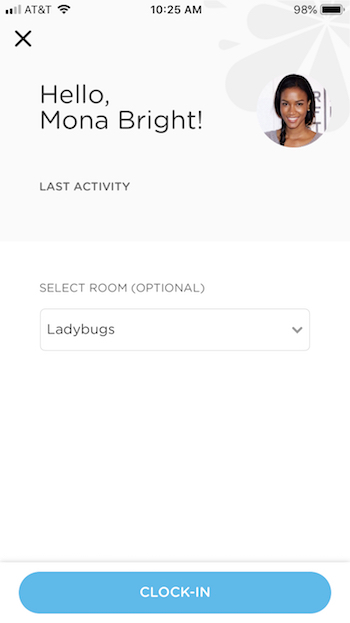 If the staff member has no default room or needs to clock in to a different room, they have the option to select a room before clocking in. To clock out, the staff member will simply re-enter their pin in the Sign-In Kiosk. 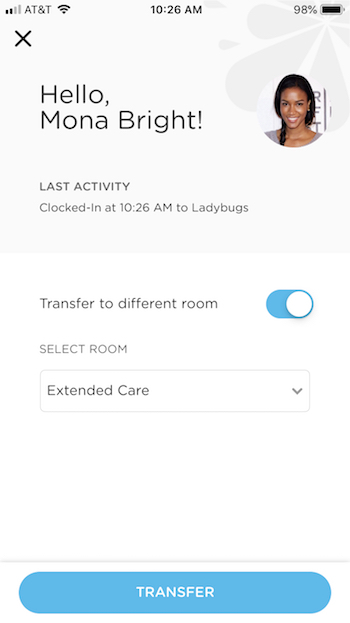 They can toggle the transfer button if they need to transfer to another room (for example, when moving from their classroom to an extracurricular activity, or when recording a paid break or lunch).